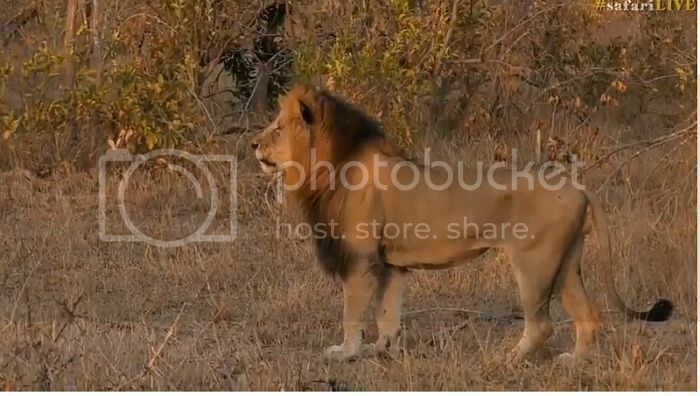 I watch Safari Live Sunrise (midnight - 3:00AM ET) a lot at night to fall asleep. Last night towards the end, lions were spotted. One older lioness has two cubs. 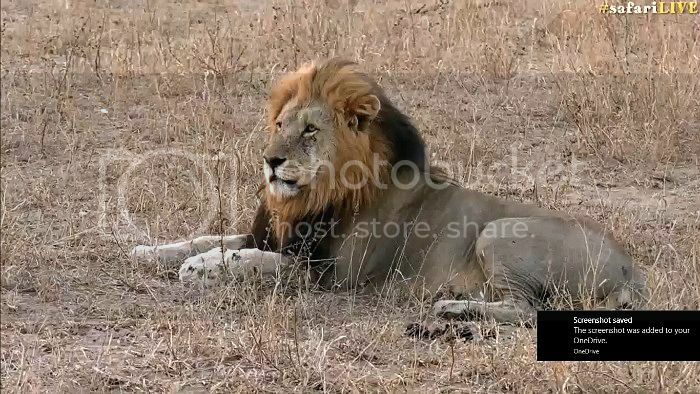 I couldn't really tell (sound was low) but I think it is a male lion sleeping beside the carcass with his paw on top of it. Towards the end, the lioness with four cubs seen crawling all over her, reached out and grabbed one and gave it a big hug. I've never seen anything like it. This is the first time I've seen the lions. Fast-forward to 2:29:20, this is where it starts. 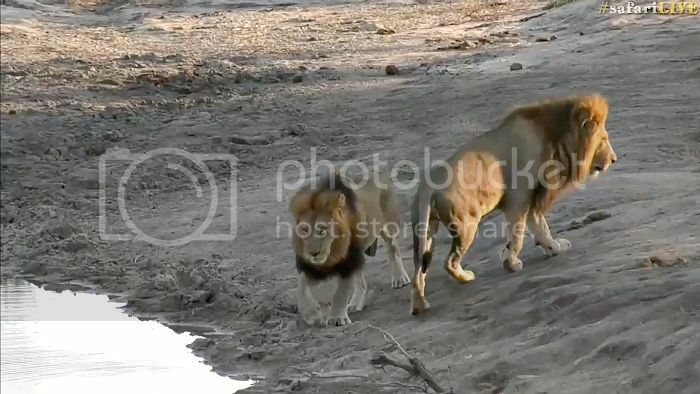 When it breaks briefly to go to another guide, they do cut back to the lions until the end. These cubs are fun to watch. Jump on the back and join a LIVE African Safari. Twice a day our expert guides invite you to come along and drive through the African bush in search of the Big Five as well as smaller animals. Personally... I might listen when its live.. watch when STARS (Lion cubs) are up. This is the most gorgeous animal to watch. He is a young male leopard lying near a pond, early morning, waiting for terrapin to surface. When the camera zoomed out you could see how he was camouflaged in an area wide open. His eyes are pale mint green in the show, not captured in the photo. His tail is as long as his body. It is going into winter in dense, bushy Djuma, South Africa ...so the teams have been setting up to film live in Maasai Mara, Kenya soon. This guide, Brent, does several short segments in each drive, shown live twice a day. Mara is absolutely beautiful, with wide-open ranges, gorgeous Shepherd trees and hundreds more animals. Since they are a "family" channel, all the kills shown are done with much discretion. They are starting to record adverts during the live shows. I've never seen a cheetah in Djuma. There is no proof that Karula is not alive but she has been missing for over 10 weeks. Many people watch the live show, twice a day, just to see if they find her. 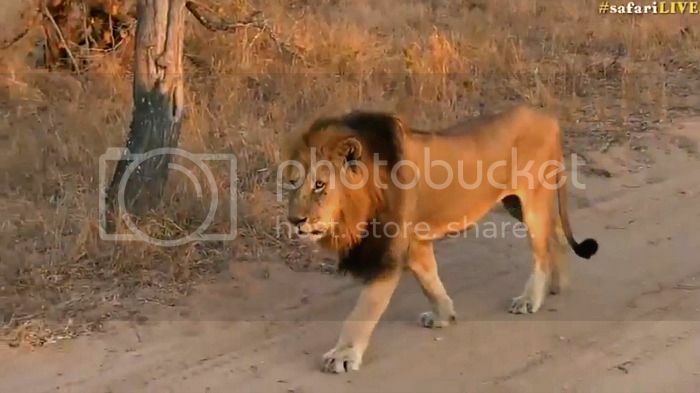 Start at 47:30 for lion in the road, guide continues up the road to see where the six cubs are going. Several cubs turn up the road so guide moves again and sees the baby. 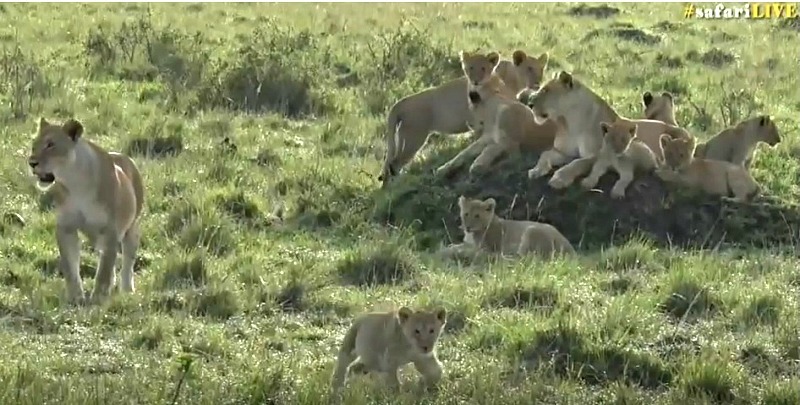 At one point they go to another guide for only a few seconds and back to the lions. Several cubs are using the baby as a soccer ball but mom is in the tall grass watching. Beautiful silhouette of a male giraffe, at sunrise, in Sabi Sands Game Reserve, Djuma, South Africa. He is about 18 ft (5.5 meters) tall. Sighting last night during their sunrise. Two of the three Birmingham Boys at Djuma, South Africa. This is only part of the four lionesses and 13 cubs pride. A few of the others are over to the left. These are Village Weaver birds I am watching on SafariLive tonight. I've never heard of them. It's the beginning of Spring in S. Africa and the pretty, bright-yellow male birds are busy building nests to attract the drab-looking female birds. The guide said "If the female birds are unhappy with the nests, they will tear them down." What? So suddenly, this female kicks out this male bird and starts messing with his nest ...that isn't even finished. I couldn't get a good screenshot as they are very fast, but this is the male biting the female's tail (she's in the nest) trying to get her out. He was successful after a few tries. This is a short video showing how they do it. This was neat to see because in the regular shows, the rhino is the only animal they are not allowed to film. Kevin was born in S. Africa. The three cheetah at the end... mama and male cubs in Maasri Mara, Kenya. They are about the age to leave mum. She does the chasing, they do the killing. A leopard can hoist twice their weight up a tree. If I were a bird, this is the one I would want to be. Mum Thandi and her cub had not been seen in 3 wks and had everyone worrying. This was sighting on 3-hr drive this morning, their sunset in Djuma, S Africa (the sunlight on the leopards at the end is gorgeous.) This guy put together the highlights in a short vid. Ends at 14:00min and continues with some great screenshots to music. Absolutely adorable and her paws have gotten so big! 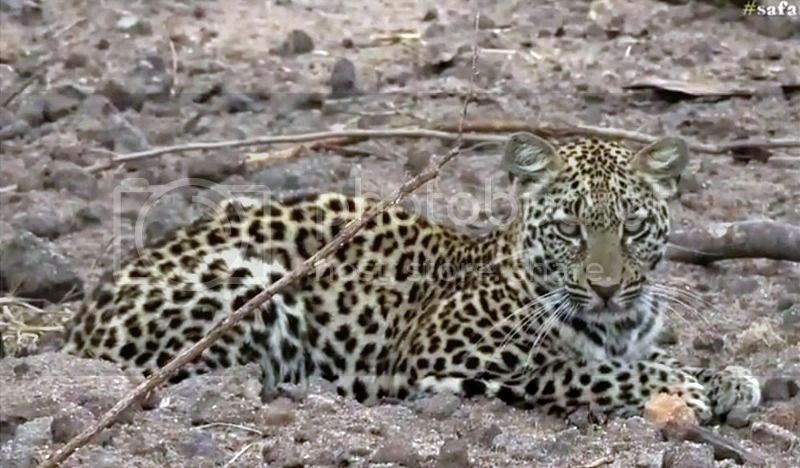 I watched Hukumuri live when he was sitting on top a termite mound one morning, barely moving for TWO hours, while waiting for the wart hogs burrowed inside to emerge. They show a very short piece here. Watch how Hukumuri slaps the mum hog trying to save her piglet. I only recently realized how strong and big a leopards slap/paw is. to figure out what is hanging between his legs) and usually stay composed, this one couldn't.